Q. How have you made your company better, faster, smarter or more efficient? A. We quit allowing our business to run us — instead, we starting running our business. The best thing that we did was hiring professionals who specialized in each component of the transaction to ensure things did not slip through the cracks. The real estate process for our clients is seamless and stress-free. Perseverance — don’t give up. To be successful, you have to be passionate and committed to the end result. Time is of the essence. Moving is one of the most stressful times for most people. Real estate sales take place seven days a week, and you have to available to your clients. Q. How do you achieve work-life balance? A. We are strong believers in constantly improving our time-management skills. We have a professional business coach who helps us make sure we are performing at our peak. We have surrounded ourselves with extremely competent professionals who assist in every step of the real estate process. And we’re both very passionate about real estate, so while it is difficult to balance everything sometimes, we know we can depend on each other — as well as our incredible support team Lynn, Lindsay and Ashley. Q. How did you get where you are today and who/what helped you along the way? A. We had incredible mentors in our parents, and they helped shape our values. When we got into this business, the strong support we had shaped our moral compass. We have been in this business since 1998, and we never looked back. It was the best decision we each could have made. Q. What have you learned about leadership, entrepreneurship and mentoring others? A. We never stop growing and learning. As Walt Disney said, “the paint never dries.” We are always striving to improve who we are and help others. Q. 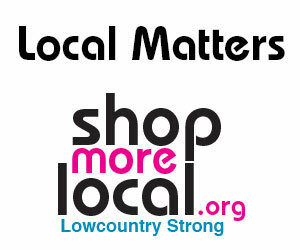 How long have you lived in the Lowcountry, and where did you move from? A. Herman is from Dayton, Ohio, but has been lucky enough to call Hilton Head home since 1989. Davis has been coming to the island since 1974, when her family vacationed here during the summers. She moved to the Lowcountry in 1989 from Macon, Georgia, with her husband, Brett, and son, Davis.